Cool! Save an average of 20% on Carlos Santana Shoes with 8 Coupon Codes, and 10 Deals! Women's pumps, dress shoes, knee-high boots and strappy sandals. 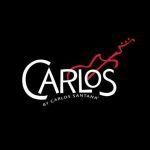 Details: Save up to 50% on select styles at Carlos by Carlos Santana. *Prices as marked. Details: Go bold and bright in the Siren neon sandals from CarlosShoes.com! Details: Take 20% Off Sale Items. Expires on 02/04/2014. Details: 10% Off Sitewide. Expires on 02/28/2014. Details: Get $10 off orders $50 or more. Expires on 02/27/2014. Details: 25% off All Boots. Expires on 01/03/2014. Details: Free Shipping on your entire purchase. Expires on 01/14/2014. Details: New Markdowns at 21% Off! Frenzy and Fever Styles Now $69.99. Limited While Supplies Last. Details: Get Free Shipping on orders. Expires on 02/15/2014. limited time! take 20% sitewide with promo code sandals at carlosshoes.com. valid 6/12-6/13/12. Details: Limited Time! Take 20% sitewide with promo code SANDALS at Carlosshoes.com. Valid 6/12-6/13/12.